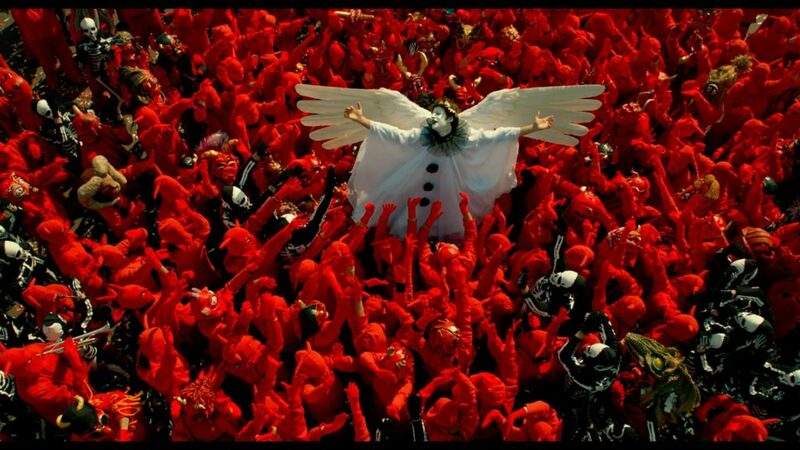 Much beauty, but also aesthetic innovation and plenty of nostalgia: Paolo Sorrentino succeeded with his Oscar winner, a homage to Fellini’s ‘Dolce Vita’ and ‘Roma’ evoking the ‘eternal city’, a mixture of cynicism and tenderness, with spectacular camera movements and magical moments. 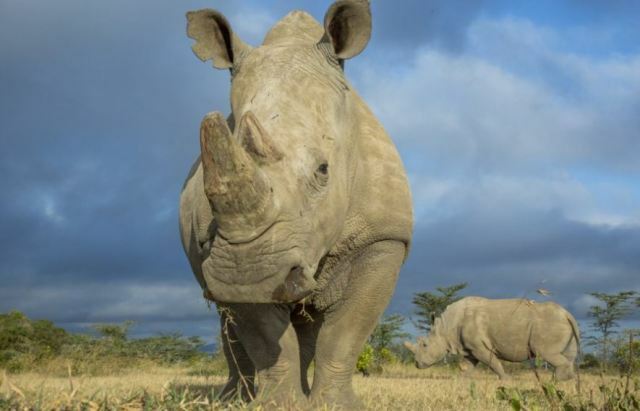 Luca Trevisani’s tribute to the last white rhinoceros in North Africa, Sudan, guarded by heavily armed rangers, which the artist surrounds with lengths of cloth as if to protect him from impending death, is also tender, but by no means cynical. Anne Imhof (born 1978) is one of the most important and original artists of our time. Her work spans the genres of performance, painting and room installation; she examines the traditional images and processes handed down through culture and the mass media and develops new tactics to reach a broader definition of the term “performance”. With the success of very few artists, she precisely captures the existentialism of current life and conveys it in impressive scenes and images that long remain with the viewer. The moving image serves not only for archival purposes but also to complement the live performances. 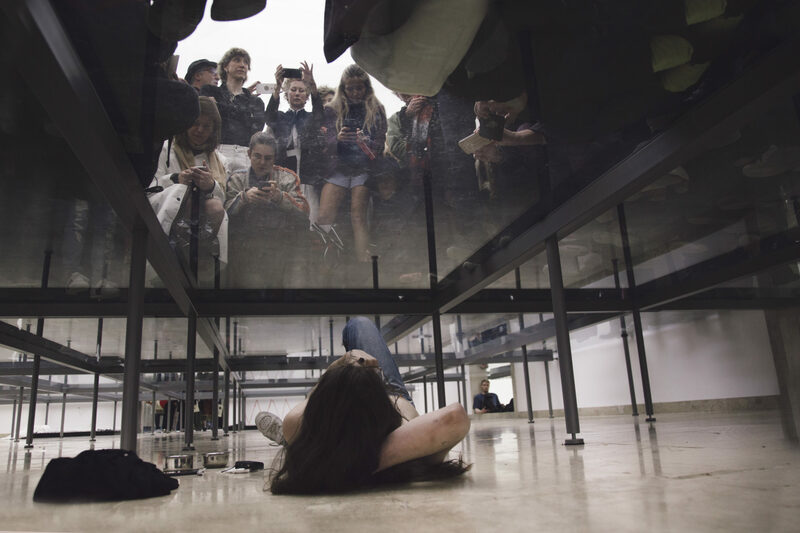 Anne Imhof has already held numerous international exhibitions. In addition to other important prizes, including the Berliner Preis der Nationalgalerie, she won the prestigious Golden Lion at the 2017 Venice Biennale for her work “Faust”, which was shown at the German Pavilion. Recently, the PIN Young Circle (PIN.YC) sponsorship group of the Pinakothek der Moderne purchased five of Anne Imhof’s drawings for the Staatliche Graphische Sammlung. She created these insightful sketches as studies for the five-hour-long performance in the German Pavilion. The German Norvegian artist, born in 1966 and living in Berlin, is the only most successfull and well-known filming artists in Germany who consistently combines social criticism with ironically grotesque stagings. 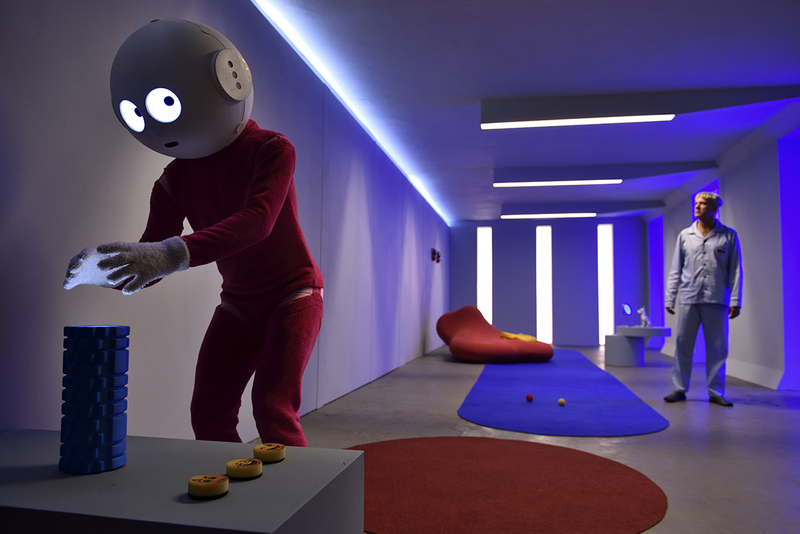 By exploiting the history of pop culture, mass media and cinema in his short films, he celebrates a unique balance between pessimistic melancholia and hysterical humour. With a very personal signature – Melhus plays all parts himself. Winner of many awards at festivals such as Oberhausen or institutional honors as the German Filmpreis, he has been incarnating many heroes of the Western mass culture, from James Dean or Jim Morrison to Marylin Monroe, Janis Joplin or the philosopher of capitalism Ayn Rand. For the “Interlude” he presents his most recent works and gives an insight into his film SUGAR, which is still in production. In his talk he will also deal with the relationship of film and installation. Rebecca Horn (born 24 March 1944, Michelstadt, Hesse) is a German visual artist, who is best known for her installation art, film directing, and her body modifications such as Einhorn (Unicorn), a body-suit with a very large horn projecting vertically from the headpiece. She directed the films Der Eintänzer (1978), La ferdinanda: Sonate für eine Medici-Villa (1982) and Buster’s Bedroom (1990). Horn presently lives and works in Paris and Berlin. A rare pearl of a very special kind presents the series “‘Cinema Dreams in Artists Cinema”: “Impressions of Upper Mongolia” has been conceived in 1976 by the surrealist and eccentric Salvador Dalí for the TV station WDR. It is about an imaginary trip in search of a hallified mushroom, told with a range of surrealistic video effects. A special highlight of the evening organized by KINO DER KUNST: The Munich artist duo M+M, responsible for the introduction of the program, succeeded in locating the cameraman of the film realized jointly by Salvador Dalí and WDR director José Montes-Baquer. Bodo Kessler, who also worked with Rebecca Horn, Nam June Paik and Volker Schlöndorff, tells the story of the genesis of the project, from the first meeting with Dalí and Frau Gala in New York to the shooting in her house in Cadaques, Spain. “Salvador Dalí and his fellow surrealists owed a great debt to the wealthy, dandyish French writer Raymond Roussel, as much as modernist poets owed the Symbolist Jules Laforgue. But like Laforgue, Roussel is much more often referenced than read, and he isn’t referenced often. A hermetic, insular writer who seems to belong to a private world almost entirely his own, Roussel despaired of his lack of success and committed suicide in 1933. His aesthetic progeny, on the other hand— Dalí, Marcel Duchamp, André Breton—were showmen, self-promoters and media geniuses. So it’s particularly poignant, in the quirkiest of ways, that Dalí chose for his final film project a collaboration with Jose Montes Baquer in 1976 called “Impressions of Upper Mongolia” (“Impressions de la haute Mongolie”—above with English subtitles), an homage to Roussel’s self-published 1910 novel Impressions of Africa. Working for the first time with a co-director, French artist JR, the 90 years old veteran documentary maker Agnès Varda makes study of ‘faces and places’. Agnès Varda will be honoured with the Berlinale Camera 2019. Agnès Varda is one of the most important contemporary francophone filmmakers. She started out as a theatre photographer in Paris before shooting her first feature film in 1954, with no prior filmmaking experience. Through Alain Resnais, who edited the film, Varda first came into contact with the circle surrounding the Cahiers du Cinéma, who would later go on to form the core of the French Nouvelle Vague. 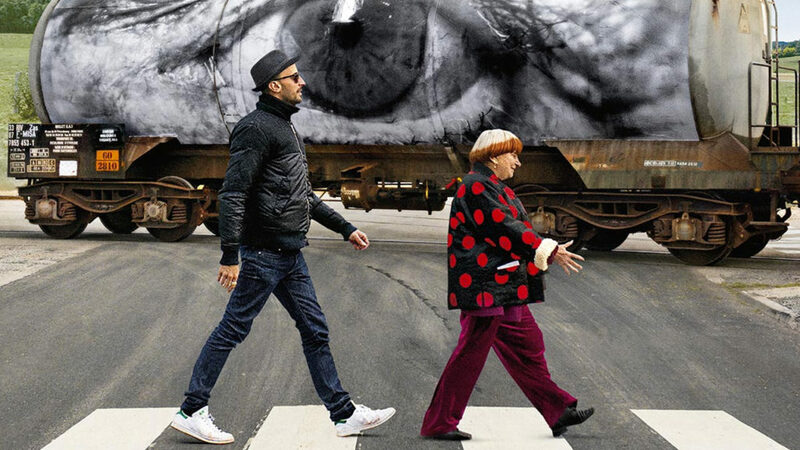 Visages, villages (Faces Places), made in collaboration with French artist JR, was nominated for the 2018 Oscar for Best Documentary Feature. JR (Juste Ridicule) is the pseudonym of a French photographer and artist whose identity is unconfirmed. Describing himself as a photograffeur, he flyposts large black-and-white photographic images in public locations, in a manner similar to the appropriation of the built environment by the graffiti artist. He states that the street is “the largest art gallery in the world”. Herlinde Koelbl is since the end of the 1980’s Germany’s most widely discussed photographer and documentary maker. She is knewn for her portraits of well-known German personalities from politics and business world. Mostly she offers large-scale thematic projects, often dealing with societal taboos. Since the end of the 1980`s one of Germany’s most widely discussed photographers. Since 1999 the experimental filmmaker Matthias Müller and the media artist Christoph Girardet realise together award-winning short films, which have been produced in a rigorous formal processes to create fascinating images and film poems. Mostly from their own 35mm takes and carefully selected found footage film excerpts, they exaggerate cinema into art, treat topics like childhood (“Meteor”), mirror scenes (“Crystal”) or light effects (“Contre-Jour”). All her films are a new dramatic condensation of the raw material cinema, such as the calm editing sequence of seemingly undramatic scenes in “personne”, a tribute to the great, behind his roles completely disappearing French “Nobody” Jean-Louis Trintignant. In this feature film where what is real and what might be fake blurs, the infamous, shadowy British graffiti street artist Banksy, who has literally left his mark on cities throughout the world, comes in contact with Thierry Guetta, a Los Angeles-based Frenchman who videotapes various underground art escapades. EXIT THROUGH THE GIFT SHOP follows Guetta’s attempts to capture the ever-elusive Banksy at work–only to have the mischievous artist turn the camera back on him with hilarious results. Is it all real? Or could this be Banksy’s greatest stunt yet? The film contains footage of Banksy, Shephard Fairey, Invader and many of the world’s most infamous graffiti artists at work. Ticket phone (Germany): 089 / 23 39 64 50. Endless Poetry is an ode to the quest for beauty and inner truth, as a universal force capable of changing one’s life forever, written by a man who has dedicated his existence to creating spiritual and artistic awareness, told through Jodorowsky’s unique surreal and psychedelic visual language. Thank you, Gilbert and George! The film series “Cinema Dreams in Artists Cinema” has started! 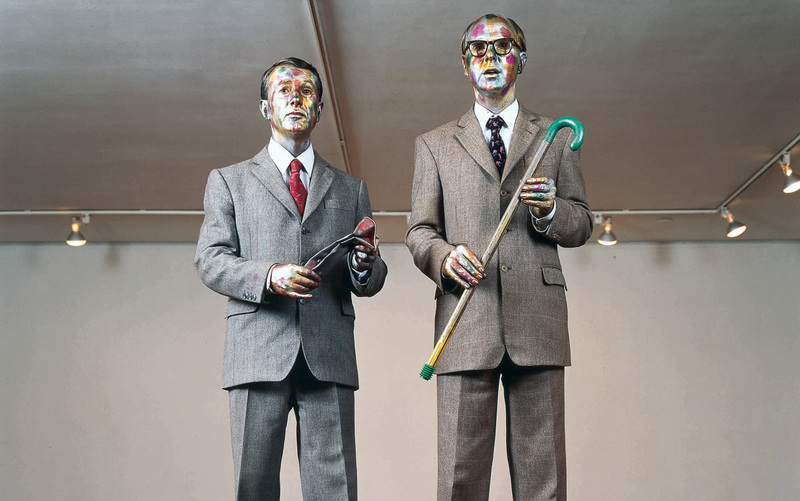 On January 10, 2019, Gilbert and George kicked off the series at the Filmmuseum in Munich and showed how much they have become one with their art figures. 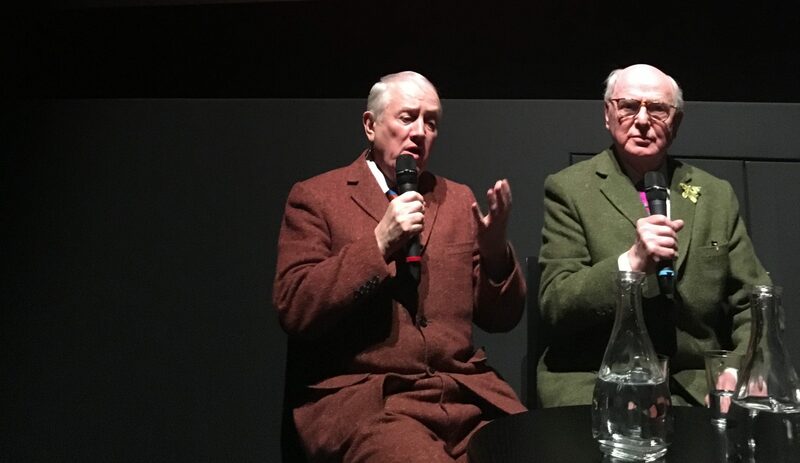 Seeing Gilbert and George’s perfect performance during the audience discussion all questions of authenticity, illusion and disillusion as well as the difference between reality and fiction were obsolete. Art is being, being is art. We are looking forward to welcoming the British artist duo Gilbert & George for the Special Opening of the new film series CINEMA DREAMS IN ARTISTS CINEMA on January 10, 2019. You can book tickets now! Our ticket phone number is 089 / 23 39 64 50. 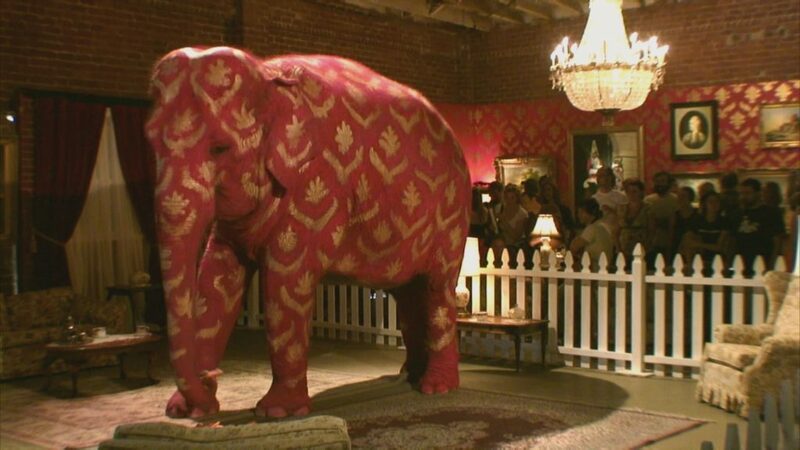 On show are films by the British street artist Banksy, the surrealist eccentric Salvador Dalí, filming media artists such as Matthias Müller, Christoph Girardet and Rä di Martino, the sculptor Rebecca Horn, the photographer Agnès Varda and the performers Gilbert & George. Their unique, emphatically idiosyncratic form unites the artists, as different as they may be. The thinking of the narrative image into new dimensions. The destruction of every linear narration. And – last but not least – the leap out of the drawer of any order fanatic cataloguing. HD animation loop; colour, sound; 21 min. Rubber crumble, tyres, refuse, liquid pools, lights. Installation view, Phil Collins: Can’t Do Right For Doing Wrong, HOME, Manchester, 2018. Photo: Lee Baxter. Courtesy Shady Lane Productions, Berlin. British artist Phil Collins (born 1970) studies the nuances of social relationships in different locations and global communities in his films, installations, photographs and live events. With new forms of artist actions such as a disco marathon in Ramallah, satirical teleshopping events, karaoke performances “Made in Japan” or call-to-vinyl actions, Phil Collins is expanding his video art to cross genres and include performance, theatre and music production. His work completely redefines the term “multimedia”. 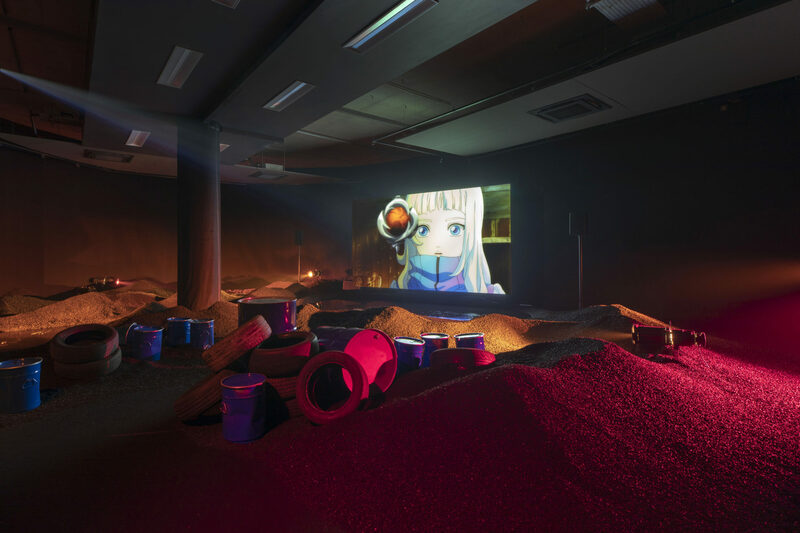 The professor of video art at the Kunsthochschule für Medien Köln (Academy of Media Arts Cologne) was nominated for the Turner Prize, is a winner of the Paul Hamlyn Award for Visual Arts and received the Audience Award at KINO DER KUNST in 2015. For the “Zwischenspiel / Interlude”, Phil Collins at the “Harry Klein” club explores a space where – as in his art – dance, music and visuals coalesce into a unified emotional experience. Born 1958 in Ontario, Canada, the photographer and filmmaker lives today in London and mostly works in a crossover of abstract analysis, the tradition of experimental film and the emotional perception of landscape or architecture. Much of his work focuses on style and technology of film, for instance on the complex narration of long tracking shots. His films are nearly always short, precise exercises on particular techniques of filmmaking and spatial perception, they particularly tend to look at contemporary cities, film history, and the way film has impacted ideas about everyday life. Mark Lewis had many solo shows in important museums around the world and represented in 2009 Canada at the Venice Biennale. Neues Museum Nürnberg in cooperation with KINO DER KUNST will offer a different art film programme every month – until April 2017. Heinz Peter Schwerfel, Artistic Director of KINO DER KUNST, Franziska Stöhr, Curator of the film program, and Eva Kraus, Director of Neues Museum, discussing on current development in narrative art films. Shortly after obtaining his degree in film science and philosophy at Columbia University in New York City, the Serbian shooting star attracted international attention and was distinguished with multiple awards for his short film Shelter (2009). In his work, Simic grapples with special phenomena of modern society. After his much-noted Thinker in the Supermarket (2012), a contemporary variant of Auguste Rodin’s world-famous sculpture, he presented his film Our Guardians (2015), which he had produced in Paris, at the last b3 Biennale in Frankfurt. In 2016, his most recent film, Melanchonic drone won First Prize of the Loop Festival Barcelona. 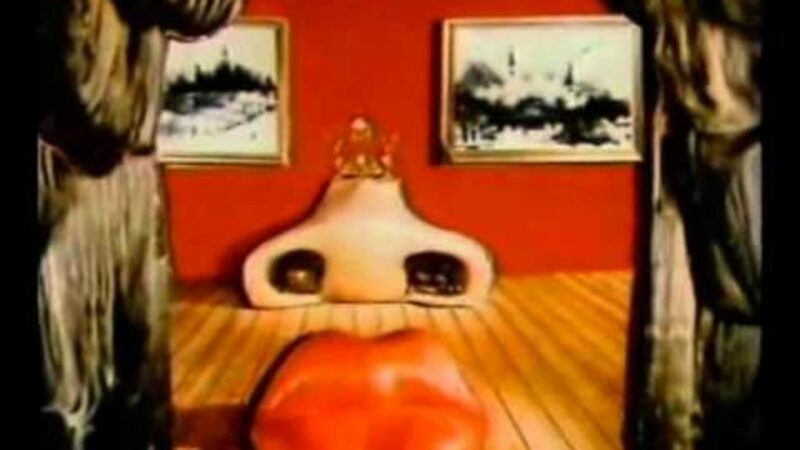 The Belgian artist, honoured with numerous awards, became known through his film essay Dial H-I-S-T-O-R-Y, which was shown in 1997 in Paris and at the documenta X in Kassel. The film anticipated at an early date the tragic events of September 11. Since then, Grimonprez’s works are found throughout the world at film festivals and in museums. Over and over, he focuses and criticises media manipulation. Solo exhibitions, including at the Pinakothek der Moderne in Munich (2007) and in SMAK in Ghent (2011-12). His most recent film, Shadow World, was recognised as the best documentary film at the International Film Festival Edinburgh 2016. With great sensitivity for breath-taking pictures, the Irish filmmaker – who worked in the 1990s for artist James Coleman and as Art Director for renowned film productions such as Mel Gibson’s Braveheart – tells of a world in flux, whose beauty lies above all in the tragedy of change. In 2007, her film Metamorphosis was honoured with the main prize of the Short Film Festival Oberhausen. The Floating World, which premiered at the 2013 KINO DER KUNST, won a prize at the French festival VIDEOFORMES in 2014. From the fictional to the documentary treatment of the act of painting, from the biopic to the analytical essay – how film attempts to grasp as well as comprehend painting is illustrated by the series “Kino und Malerei” (Cinema and Painting), using cinema films from recent decades that are both outstanding and unique in their approach. 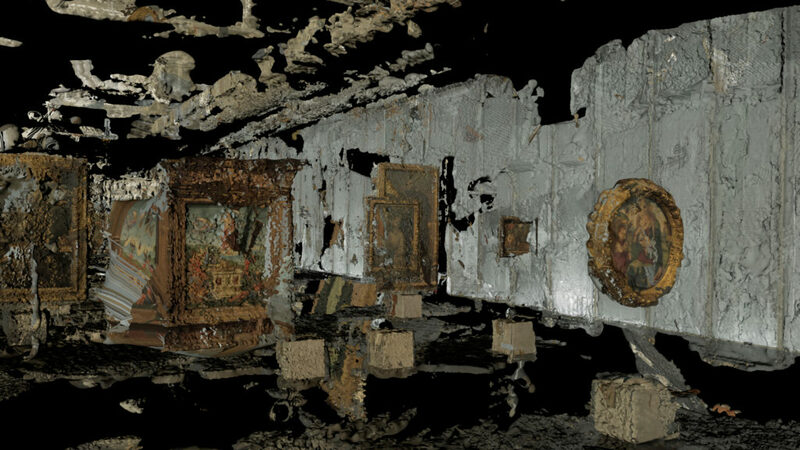 The films will be accompanied by personal introductions from art historians or artists. How does an artistic documentary film differ from a documentary artist’s film? What does media authenticity mean and how can it be achieved? How can audiences distinguish between authenticity and lack of authenticity? No discipline other than film has come so far in depicting a supposed reality. But while in a documentary film, the relationship to reality is seemingly obvious and viewers assume that the depicted events have actually occurred, art likes to leave things unclear. In this panel discussion, filmmaker Andres Veiel, media artist Christoph Faulhaber, the artistic director of KINO DER KUNST Heinz Peter Schwerfel and the director of the International Documentary Film Festival Munich Daniel Sponsel will discuss the different strategies for dealing with reality, both in front of and behind the camera. Jochen Kuhn, „Sonntag 3“, 2012, 14 Min. The third part of a series of films about Sunday outings. In Sonntag 3 the main character has a blind date with an suprisingly well known woman at the Grand Café in Berlin. As seen through the eyes of a fisherman’s young daughter, the film illustrates the dramatic environmental changes in the Aral region where bizarre creatures, half horse, half human, are suddenly romping around. A tribute to the nomadic past of its people. Till Nowak, „The Centrifuge Brain Project“, 2011, HD, 6 Min. 35 Sek. Since the 1970s, scientists have been conducting research to study the effects of amusement park rides on the human brain. Adapting the aesthetics of a television documentary, this film takes a tongue-in-cheek look at humanity’s confusing search for bigger, better, faster and higher ways to happiness. Pierre Huyghe, „Untitled (Human Mask)“, FRA 2014, 19’, Courtesy of the artist and Marian Goodman Gallery, New York; Hauser & Wirth, London; Esther Schipper, Berlin; Anna Lena Film, Paris. In their studio, a young photographer and his assistant photograph group shots of Tibetan nomad families in front of various backdrops. Personal contacts between the photographer and his subjects develop more and more. Money and faith, religion and capitalism, the bold of theses of the self-proclaimed inventor of American Objectivism, Ayn Rand, and the half-baked sermons of today’s cult gurus. 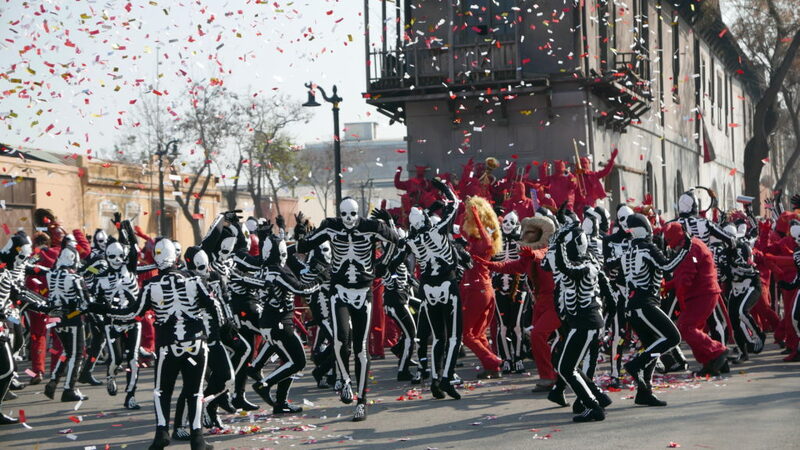 A mix of musical and science fiction, elaborately filmed in Istanbul model settlements and a Berlin morgue. Janis Joplin and James Dean, but also Dorothy from the “Wizard of Oz”, a talk-show host who resembles a priest, or a war veteran haunted by his memories – these are the more or less heroic protagonists in the cosmos of German-Norwegian artist Bjørn Melhus (*1966), all played by himself. Melhus makes films of a slightly different art: they could easily be called extraterrestrial, but they always remain close to our pop-cultural reality. Ironically, he uses plots and action schemataund in the mass media and investigates their relationship to the viewer. He always stages moving images to self-arranged composite soundtracks of found footage material from movies and television. While in “Again&Again” (1998) he offers clones for purchase and caricatures telesales, and in the wonderfully strange “Auto Center Drive” (2003) he lets icons of American pop meet, in “Deadly Storms” (2008) he stages a news show in which the viewer is informed about an alleged danger until he finally understands that this is primarily a media strategy to keep him sitting in front of the screen. In the past few years, Melhus has dealt especially with war and its consequences, for example in “I’m Not the Enemy”, which received the German Short Film Award in 2011. Originally from the experimental film world, his works are shown at film and media festivals such as the International Short Film Festival Oberhausen or the European Media Art Festival in Osnabrück as well as in museums such as the Museum of Modern Art in New York, the Serpentine Gallery in London or the Museum Ludwig in Cologne. Melhus has won numerous awards, including the Marler Video Art Award (1998), the HAP-Grieshaber Prize from VG Bild Kunst (2003) and the Prize of the Cinema Jury of the International Short Film Festival Oberhausen (2009). The questionable perfection of beauty, the hard physical drills, the artificial female role templates and our cultural subconscious shaped by the cinematic images of Hollywood all belong to the leitmotifs of artist Salla Tykkä, who lives and works in Helsinki. Since 1998, Tykkä (b. 1973) has been shooting short films that are presented in exhibition spaces and film festivals and that laconically abstain from any commentary. At times as staged dramas, at other times as documentary observations, these films analyze our collective memory through the cliché situations imparted on us by mass media. 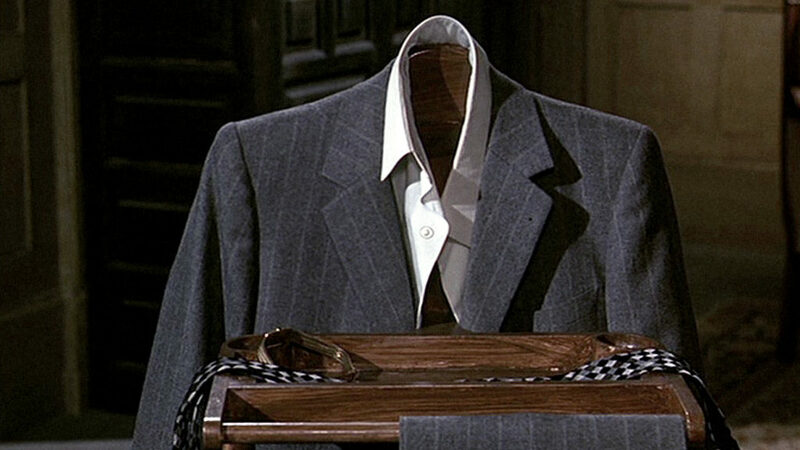 Films like ‘Lasso’, ‘Cave’ or ‘Zoo’ (2006) depict leading female characters in fictitious key scenes derived from horror to Hitchcock film classics. 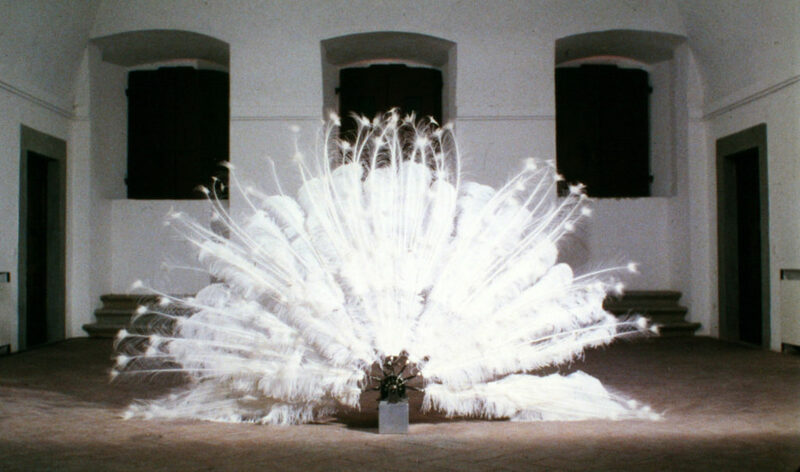 Recent works, such as ‘Air Above the Ground’ (2010) about the dressage cruelty inflicted on the Lipizzaner horses, or ‘Victoria’ (2008), a time lapse of an only nocturnally and very briefly blooming water lily, use the supposedly objective documentary vantage point in order to question the idea of beauty. Tykkä most recent work, ‘Giant’ (2013), a cinematic visit to the training location of Romanian gymnasts who were once legendary for their grace, was honored at this year’s International Film Festival Rotterdam with the Tiger Award for the best short film. Blurring the boundaries between the documentary and the staged, the question of the veracity of stories’ images and narratives, as well as the cinema as a real and conceptual place, are common themes in Clemens von Wedemeyer’s work. The early stages of his work are often characterized by an exploration of concrete locations and inspiration from film history. In ‘Silberhöhe’ (2003-2004), for example, this leads to the camera’s observation and migration through the empty housing Halle-Silberhöhe that was inspired by Michelangelo Antonioni’s film ‘L’eclisse’ (1962) and in which the houses resemble a film set. Other works like ‘Against Death’ (2009), which focuses on an immortality ritual, or ‘Muster/Rushes’ (2012), which, on three different temporal levels, deals with the history of the Breitenau monastery near Kassel, are complex and circular narratives without a beginning or end. Born in 1974, von Wedemeyer has received numerous awards and is represented with his works at both film festivals and exhibitions. In 2006, his film ‘Rien du tout’ (made in collaboration with Maja Schweizer) was honored at the International Short Film Festival Oberhausen as the best German film. That same year, von Wedemeyer was awarded the Karl Schmidt-Rottluff Scholarship. Solo exhibitions of his work have been presented at the Kölnischer Kunstverein, MoMA PS1 in New York (both 2006), the Barbican Art Centre in London (2009) and the Frankfurter Kunstverein (2011). In 2012, he participated in (d)OCUMENTA 13.